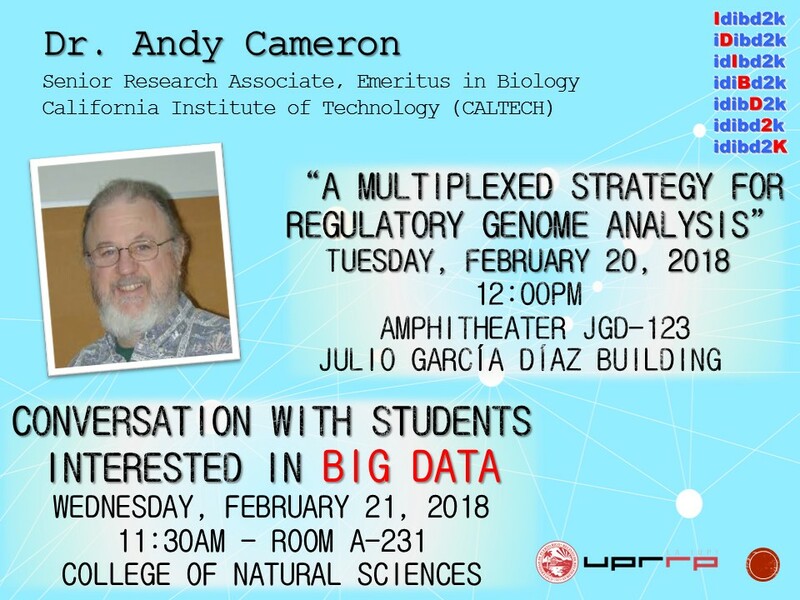 The IDI-BD2K project is pleased to announce two events with Dr. Andy Cameron, Caltech. 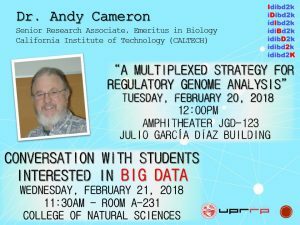 A seminar Tuesday February 20, 2018 at 12:00 PM in JGD-123, Julio Garcia Diaz Building, Rio Piedras Campus, University of Puerto Rico. A conversation with students Wednesday February 21, 2018 at 11:30 AM Room A-231, College of Natural Sciences, Rio Piedras Campus, University of Puerto Rico. A conversation with David Boone, PhD, Assistant Professor of the University of Pittsburgh where he will introduce STUDENT AND FACULTY INTERNSHIPS in the Department of Biomedical Informatics at his university through the Increasing Diversity in Interdisciplinary Biomedical Big Data to Knowledge (IDI-BD2K) Program of the UPRRP. A brief overview of the IDI-BD2K DATA SCIENCE PROGRAM will be given. 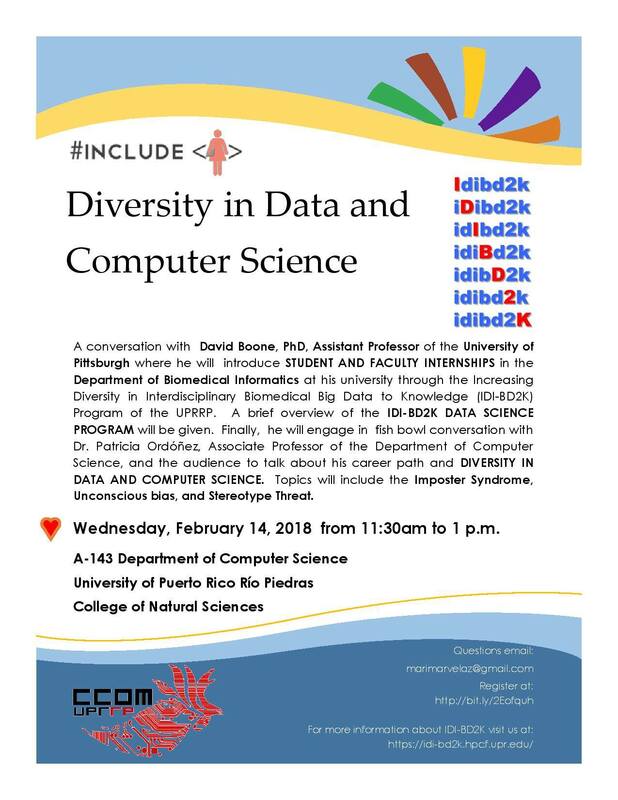 Finally, he will engage in fish bowl conversation with Dr. Patricia Ordóñez, Associate Professor of the Department of Computer Science, and the audience to talk about his career path and DIVERSITY IN DATA AND COMPUTER SCIENCE. Topics will include the Imposter Syndrome, Unconscious bias, and Stereotype Threat.